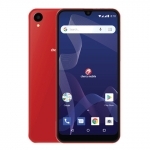 Cherry Mobile Equinox Night is an attempt at offering a smartphone with complete features – great design, powerful innards and jam packed with extra features! Is it worthy of the ‘Sheer Elegance‘ tagline? 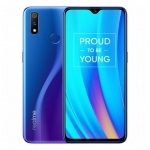 A quick look at its specs like the full HD display, Dragontrail glass, turbo processor and 18MP BSI camera paints a positive picture. However, it also has a few weaknesses. 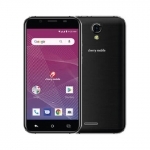 The turbo processor of the Cherry Mobile Equinox Night is the 1.5GHz MediaTek MT6589T chip. The T stands for Turbo and makes it the fastest variant of MediaTek’s most popular quad core chipset. It also comes with the high performance PowerVR SGX544 graphics processor. 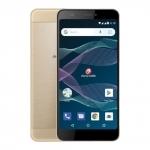 This makes the Cherry Mobile Equinox Night a perfect smartphone for gamers. However, its 1GB of RAM is a bit of a drag. 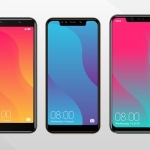 The Cherry Mobile Equinox Night also has one of the most stunning displays among locally branded smartphones – full HD resolution combined with IPS and OGS technology! 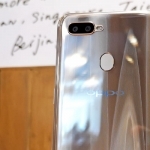 It even has a curved DragonTrail Glass for scratch protection. 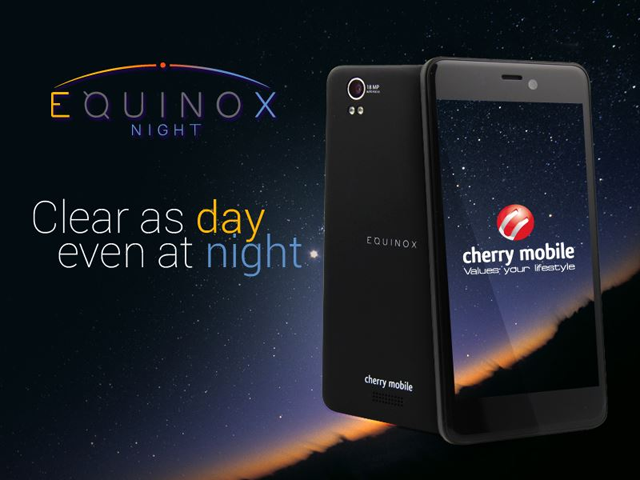 For photography, Cherry Mobile Equinox Night boasts an 18MP main camera with autofocus, dual LED flash and a backside Illuminated sensor. 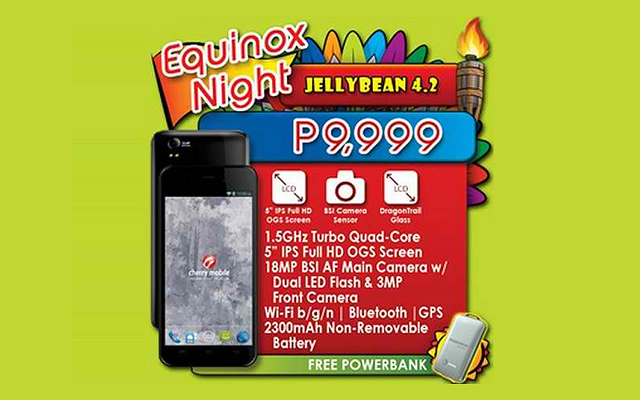 This ensures high quality photos even in low light – hence the name Equinox Night, I guess. 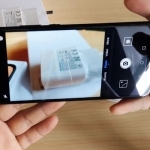 Once again, the real resolution of this camera’s sensor is only 12MP and software interpolation converts the photos to 18MP size and hopefully, quality. 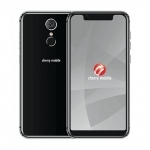 On the plus side, Cherry Mobile lists the front camera of the Cherry Mobile Equinox Night to be 3MP only but it might be an 8MP snapper. 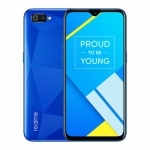 We we’re right about the MyPhone Rio Fun but we’re only around 60% sure that this is the case. 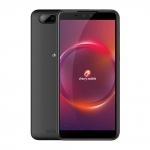 It comes complete with the usual connectivity features like Wi-Fi, Bluetooth, GPS and FM Radio. 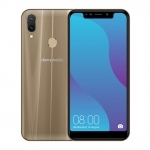 Its 2,300mAh Li-ion battery is enough but it isn’t removable. 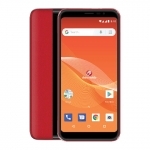 Cherry Mobile Equinox Night is now available in select Cherry Mobile outlets for ₱9,999 and comes with a free power bank. 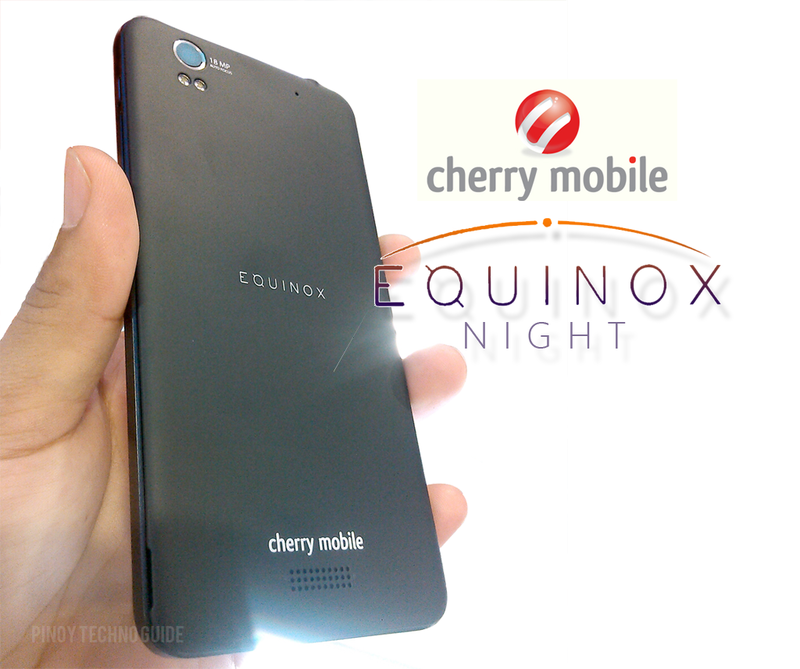 Update: Cherry Mobile Equinox Night has been marked down to ₱4,999!